OU | Thanks a Glatt! 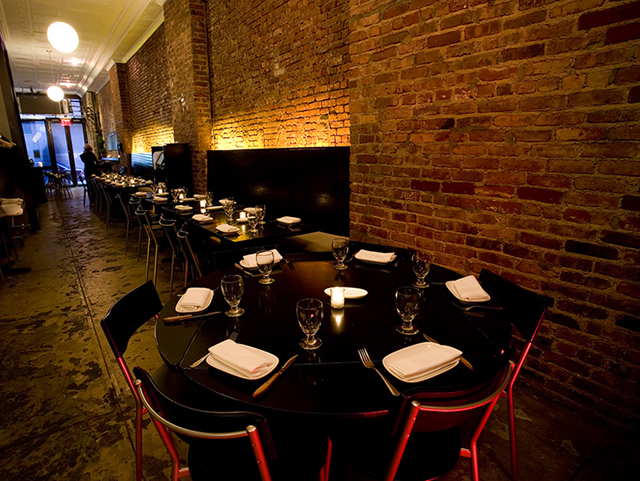 Kosher options are expanding for those who work and live in the Financial District. Koshertopia has learned that a new restaurant will open around Labor Day at 17 Trinity Place (at the old location of Essex on Coney). 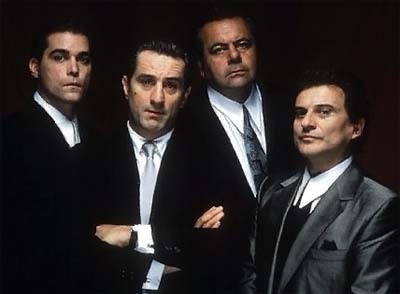 The new restaurant, Good Fellas will be supervised by the OU. No word on what type of cuisine they will be serving but we won’t foggetaboutit and will update this when we know! 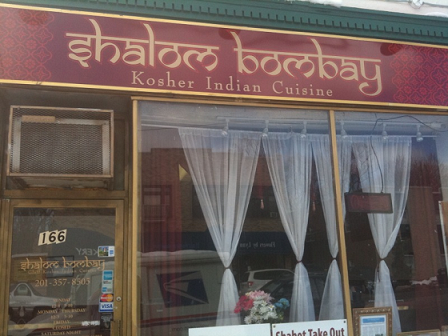 There was a storm a few weeks ago that shut down all the LIRR lines – so what better way to spend the night stuck in NYC than to check out New York City’s newest Glatt Kosher Indian restaurant, Shalom Bombay under the hechsher of the Orthodox Union. With much success in Teaneck they decided to try their chances in the more prestigious Manhattan market – and we think they are going to make it. In breaking news from Great Kosher Restaurants Magazine, Owner/Chef Mike Gershkovich from Mike’s Bistro and Mike’s Italian Kitchen has just signed the lease to take over the old Aroma Pizza location at 36 West 36th street (between 5th and 6th avenues). They will be under the OU Hechsher and will be open for breakfast, lunch and dinner. They expect to be open in two months once construction is finished (we are going to guess it is going to be closer to 3 months knowing the NYC construction lag). Kosher snacks found at 7-Eleven! I had the 4 o’clock munchies this afternoon so I decided to run to 7-Eleven at 23rd and Park to see if I could find anything to waste some calories on. To my surprise the front display was stocked with Kosher Certified snacks! 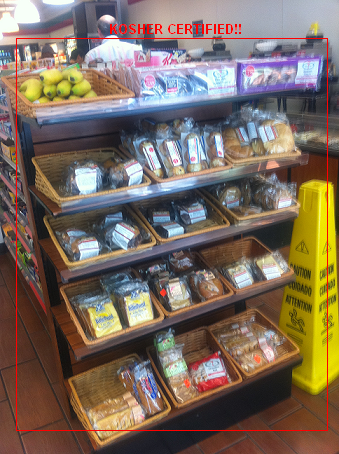 From croissants to pound cake to cookies they had a great selection of goods with certifications from OU and Kof-K.
Do us a favor and check out the 7-Eleven in your part of town and let us know if they have the Kosher goods also. Yum! We just received word from David Gruber, a partner from Shalom Bombay in Teaneck that they will be opening their first New York City location at 39th and Lexington on Sunday, April 11th. This news coming a week after Dakshin II was titled as being the only Kosher Indian restaurant in NYC! Sorry that their reign did not last long however we here at Thanks a Glatt! love competition! 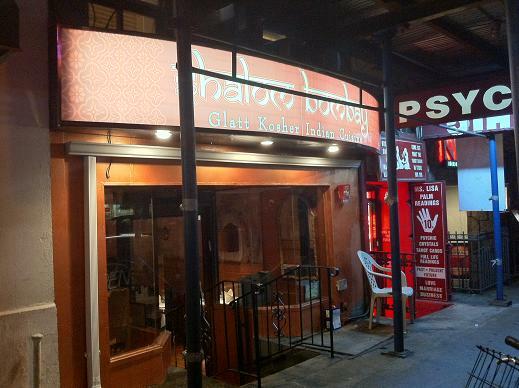 Shalom Bombay’s NYC location will feature a more upscale ambiance than their Teaneck counterpart. Their menu will remain predominately the same however they will have more lunch and take-out specials (available to order via Seamless Web as well). They will also be open on Fridays and will be under the Orthodox Union hechsher. This might be my new favorite place to order from since I work semi-close to the neighborhood! The best news though is that David mentioned that the first 50 people to email shalombombay@yahoo.com will be invited to an exclusive free tasting on April 8th! This will be a new category I am going to test out called Products were I discuss new kosher products on the market! 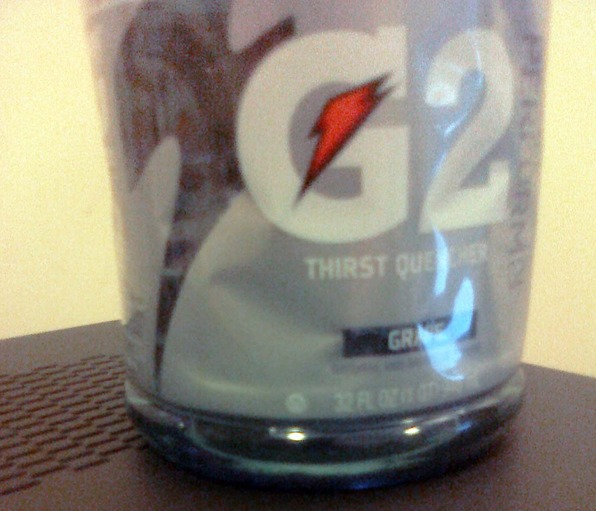 The first product I just saw @elierosenfeld post on twitter and it is Kosher Gatorade! Finally! All these years of dehydration can be kissed goodbye! You can check out which flavors are certified OU here. Although you should make sure it is labeled OU as well since there may be some old un-certified stock still on the shelves. I decided to meet up with an old friend here from my trip to Israel for dinner last night. Since I keep fully kosher I figured it would be a good place to show off the “trendiest” kosher has to offer in Manhattan. It’s a great place to go on a Thursday or Saturday night.. you will probably run into someone you know on a date! Since we didn’t have a reservation they sat us at the worst table in the house – in the very front right behind the hostess. I pleaded with the faux-hawked manager to give us a different open table but when I realized he wouldn’t budge I gave up. That was pretty annoying because I hate sitting in a lame spot in a restaurant, I want to be in the middle of all the action. Speaking of the workers, non of the employees seem to be Jewish. Most of them are from some European country and one is even tattoo’d all over his body (ask him to see the tattoo on the inside of his mouth!) They are usually quick to take orders but expect to wait a good while for your food to come out. The larger your party the most likely some of the food doesn’t come out warm either. Cafe 11 opened its doors last week at in the lobby at 11 Broadway in lower Manhattan! 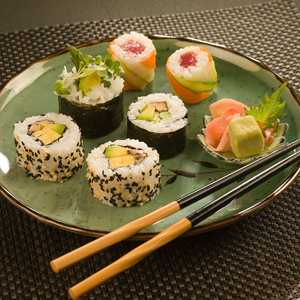 They have a full-time sushi chef on the premise preparing fresh sushi daily. They will also be serving sushi, salads, wraps and desserts! They are certified kosher by the Orthodox Union which isn’t a surprise – their headquarters are upstairs in this same building!